Dave Simmonds was recognised for his service to search and rescue today as one of the Police & Crime Commissioner’s ‘silent stars’. 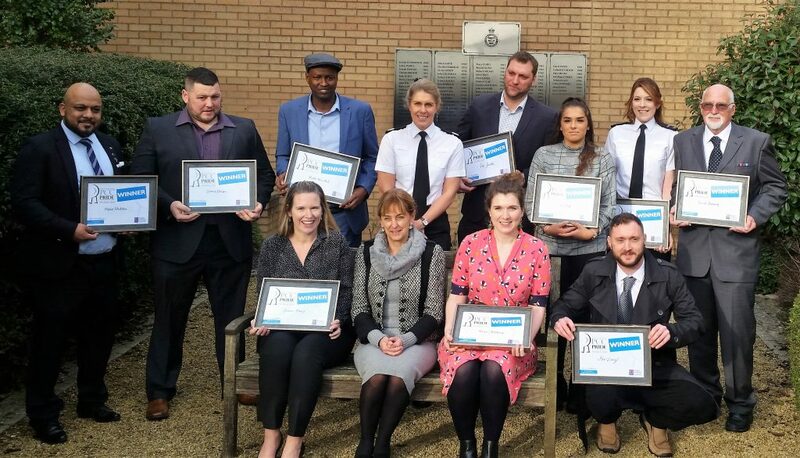 In a ceremony at the Police and Fire Headquarters in Portishead, Dave was presented with the Pride Award along with 9 other people that have shown real dedication to the community of Avon and Somerset. Dave Simmonds, far right, with his Pride Award from Sue Mountstevens, Avon & Somerset PCC, seated centre. Dave was one of the founding members 44 years ago of what was to become Avon & Somerset Search and Rescue. In November 2018 Dave retired from operational duties and became a life time member. In his career he has attended thousand’s of callouts and always had time to help new team members. “Dave was probably the youngest member to be founder member of the ‘Avon Rocks Rescue Team’ back in 1974. He therefore became known – and always has been known as ‘The Boy’. Bristol City Council had an increasing problem of people self-harming from Clifton Suspension Bridge and surrounding cliffs, and the growing outdoor pursuit use of rock climbing in the Gorge, needed a specialised response. Dave, stood up and volunteered his services – as a committed youth leader, teacher and outdoor pursuit instructor. He has been volunteering ever since! 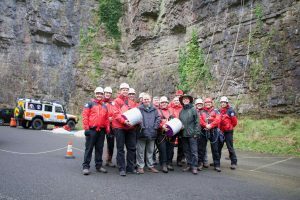 In 1990 the Avon team joined forces with the very similar organisation in Cheddar Gorge – the Cheddar Gorge Rocks Rescue team; and became the Avon and Somerset Search and Rescue Team (ASSAR). 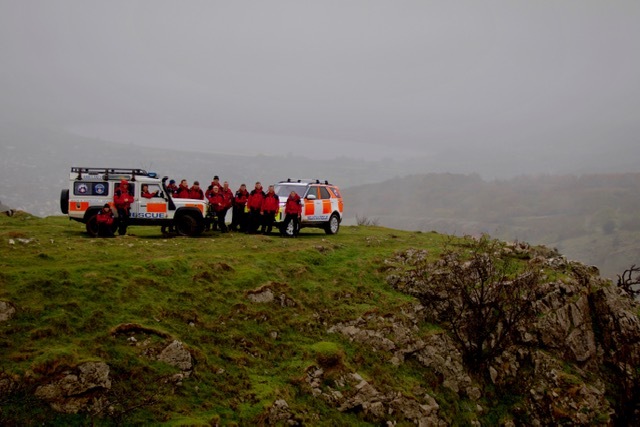 The search and rescue team was adopted by Avon & Somerset Police as their main resource for searching and finding missing people in rough terrain, cliff rescue from gorges and quarries. This still applies today and the team has added flood and water rescue to its competencies after the flooding incident in Gloucestershire on 2007. Dave has been active though out this time as a SAR volunteer, always on call – 24/7 365; always happy to respond, day or night when called, to add his expertise and experience to any situation. Dave has developed considerable skills in diplomacy, welfare coaching of other volunteers as well as the required SAR and first aid skills. It is difficult to quantify exactly who has benefitted from Dave’s voluntary contribution to the community – he must have attended literally thousands of ‘call outs’ in his 44 year service. He has saved many lives from those in peril, and he has also returned bodies to grieving family and friends – all essential work, which Dave has always undertaken with a gladness of heart and a ‘can do’ spirit. 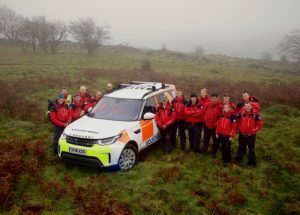 On the first day that Avon & Somerset Search and Rescue had the new Land Rover Discovery D5 it attended a callout. The police were concerned for the welfare of an elderly lady with dementia in the Long Ashton area. Fortunately the lady was located safe and well in nearby Hotwells, Bristol (Saturday 3rd November). The new Discovery D5 is on loan from Jaguar Land Rover to Mountain Rescue England & Wales. It’s touring the country spending two weeks with each team to test its capabilities. The team had another callout the next day to help search for a vulnerable missing male near Dundry, he was also found on the edge of Bristol and is now receiving the care he needs. 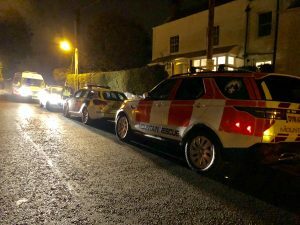 Avon & Somerset Search and Rescue have had one of their busiest years attending 35 callouts so far and our members have given over 1800hrs of time to these incidents, let alone all the training and fundraising required. 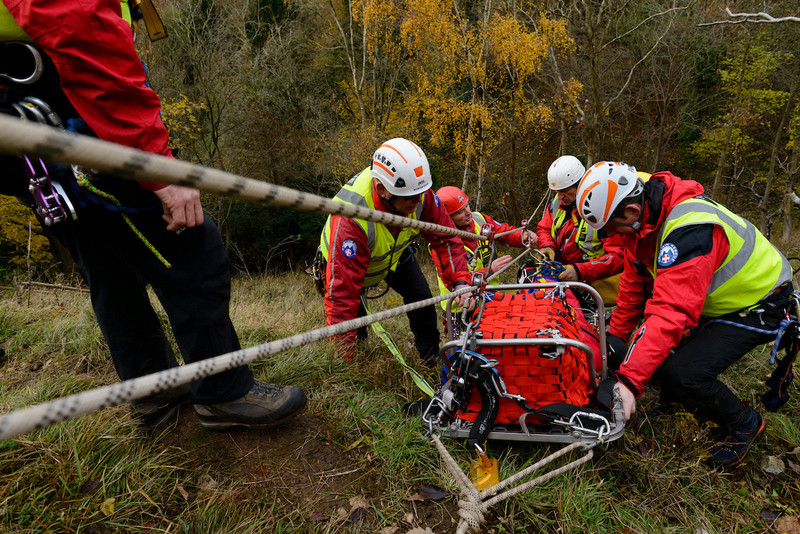 The callouts mainly involve searching for vulnerable missing people who may be suicidal or suffering from mental illness, but also involve cliff rescues. The new Discovery D5 pictured with ASSARs Defender on Cheddar Cliff’s. We were awarded £4000 from Tesco’s Bags of Help community grant scheme thanks to their customers voting for us. 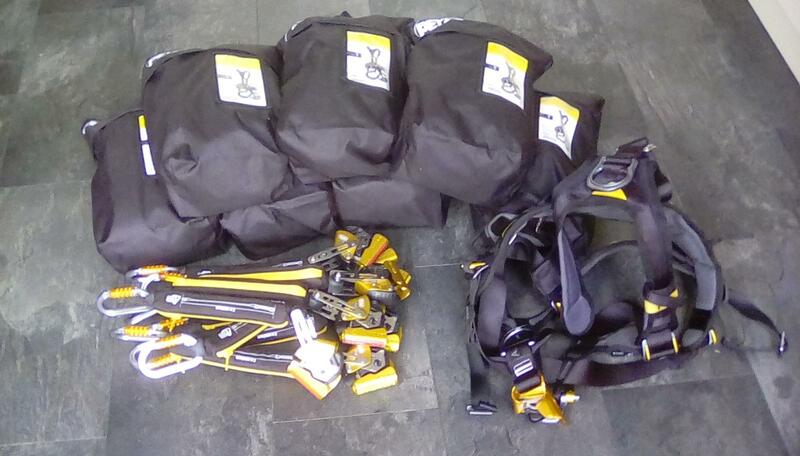 The grant will be used to purchase specialist cliff-face kits in ‘grab-and-go’ bags and helmets that are kept in the team’s technical rescue vehicle. 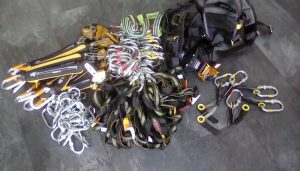 Cheddar Parish Council have donated £500 to Avon & Somerset Search and Rescue to help them buy new ropes for their important role in Cheddar Gorge. The gorge has the highest inland cliffs in the country and is a hot-spot for visitors, climbing and sadly suicides. Avon & Somerset Search and Rescue started in Cheddar Gorge in the 1970s. 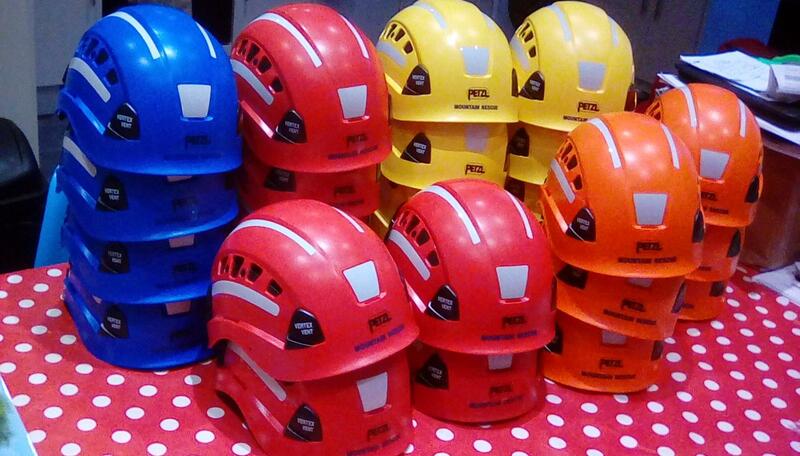 It is now an emergency service staffed by volunteers who are on-call 24/7, 365 days a year. 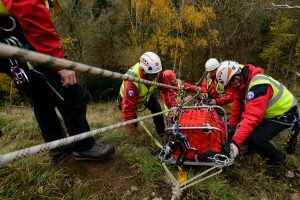 They search for and rescue people from cliffs and floods and other difficult situations in the countryside typically getting called out over 30 times a year. Sadly Cheddar Gorge and Avon, along with other cliffs and quarries, are often used by people attempting to commit suicide or where people get stuck. Avon & Somerset Search and Rescue operate alongside the other emergency services to help these people and recover bodies when needed. We are delighted to announce we have bagged £4000 from Tesco’s Bags of Help community grant scheme. Millions of shoppers have voted in Tesco stores up and down the country and it can now be revealed ASSAR has been awarded £4000. 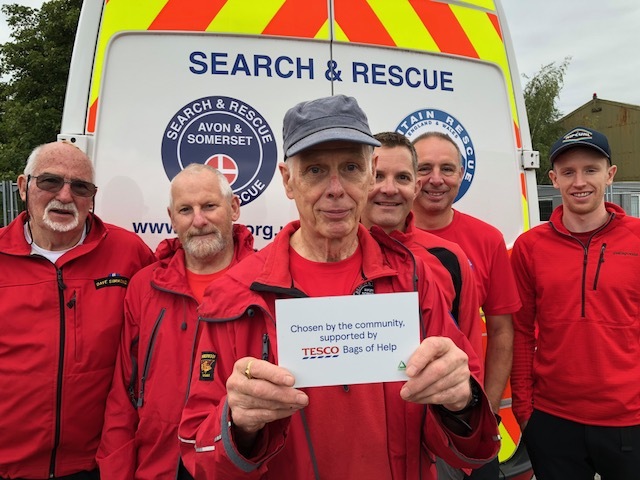 Avon & Somerset Search and Rescue help people far from help across the area. It is an emergency service staffed by volunteers who are on-call 24/7, 365 days a year. 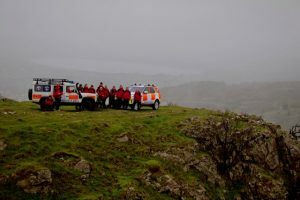 They search for and rescue people from cliffs and floods and other difficult situations in the countryside typically getting called out over 30 times a year. Sadly Avon and Cheddar Gorge, along with other cliffs and quarries, are often used by people attempting to commit suicide or where people get stuck. The grant will be used to purchase specialist cliff-face kits in ‘grab-and-go’ bags that are kept in the team’s technical rescue vehicle.